Hibs stars Owain Tudur Jones and Scott Robertson joined City of Edinburgh Chief Executive Sue Bruce last week to support the Citadel Youth Centre’s careers event – providers of support for young people leaving school. Hibernian Community Foundation and Edinburgh College were also there to showcase the Hibernian Learning Centre, situated in the South Stand at Easter Road Stadium. Working with people of all ages, Hibernian Learning Centre offers flexible learning opportunities for IT core skills and European Computer Driving Licence (ECDL) qualifications. In addition, the Learning Centre offers courses that provide an introduction to mobile apps, website design, social media, 3D design and digital photography. People of all ages, abilities and experience have the opportunity to learn at their own pace, gain and practice new skills, and earn valuable qualifications. The Learning Centre also plays host to learning opportunities specifically designed to support people into employment through courses and independent learning. Qualified tutors and learning assistants can help people of all ages enter or re-enter the work force through skill acquisition, an independent job search and physical fitness activities. 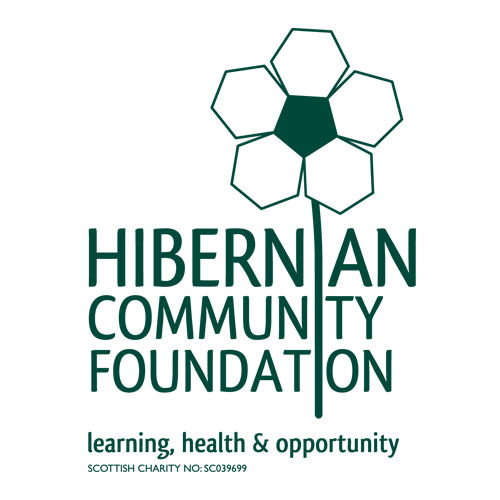 The long term aim of the partnership between Hibernian Community Foundation and Edinburgh College is to provide learning opportunities in the community and engage with people who want to learn something new but might not see themselves as college students or be able to access full time courses. The courses are designed to provide enjoyable learning opportunities in the exciting environment of Hibernian football, and we aim to ensure local people have more access to skills, education and employment.